Did my Water Heater just get Noisy? There have been some complaints by Brittan Heights ground level residents that their water heaters have become noisy. This can be particularly bad since the water heater closets are next to the master bedrooms downstairs. The HOA has been installing some new hot water heaters and these new heaters are different then the older units. The older units sat in their closets with passive vents that allowed fresh air to flow inside the closet to burn the gas used to heat up the water. The new water heaters have some sort of fan system that blows air into the heater. I was told this might be a new code requirement. This creates some mechanical noises when the heater is warming the water. Some residents have asked the HOA to mitigate the noise. The HOA has taken steps in some cases by placing the air intake for this fan system higher and further away from bedroom windows, plus adding more sound dampening material in the heater closet space. Water heater noise-I am in the bottom unit right outside of the water heater-the noise I am hearing sounds like a leaf blower and is quite disturbing-my husband who is a Superintendent for a High-End Construction company thinks the noise may be associated with air in the pipes and is concerned the pressure on the pipes may cause an eruption at some point and the pipes will burst. I haven’t called AMS yet as it just started but we are very concerned. Many a night I have been woken up by the plumbers working outside of my bedroom without any warning. 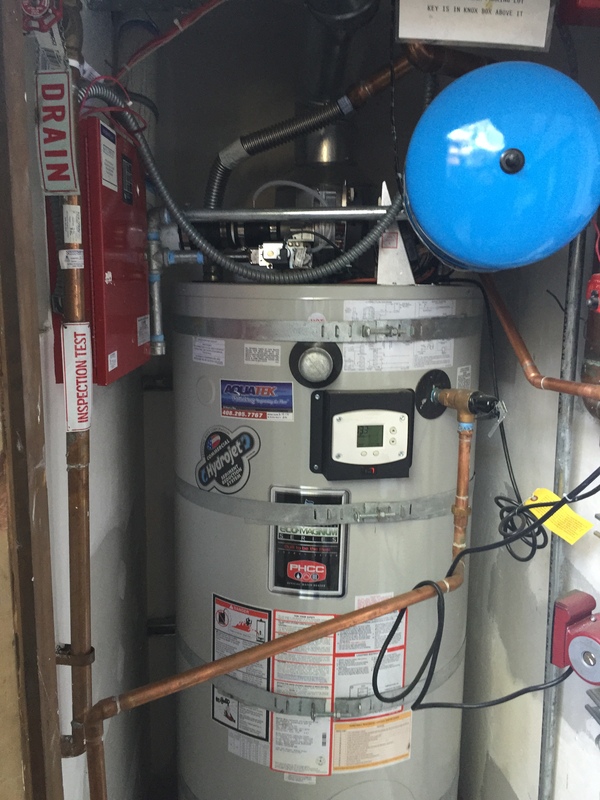 Dear anonymous – I suspect the blowing noise you’re hearing is the fan motor installed on top of the new water heater which turns on when water needs to be heated. I don’t believe the old water heaters had fans. So the good news is that I don’t think it’s related to excess pressure in the water pipes.